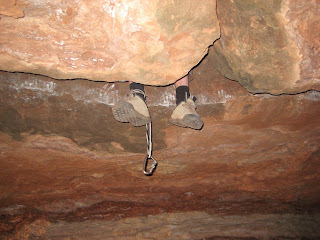 Around a month ago, both Pete and I made the first free ascent of Century Crack, at a vaguely guessed grade of 5.14b. At the time, we were both pretty psyched to do the FFA seeing as we'd spent 2 years training specifically for this project. Although nothing compared to the legendary Stone's efforts at Raven Tor! When we'd climbed Century and it'd all happened in a timescale that was way beyond what we expected - it was pretty weird to step away from a major goal, without some kind of massive epic fight. It'd all gone waaaay too smoothly. Despite our reservations about doing the route on preplaced gear (because of time constraints) there was still a huge feeling of satisfaction. Suddenly we found ourselves with 95% of our entire tick-list for the trip completed and 2 more weeks of free climbing time left on the trip! Holy smokes, the idea of having time to go back to Century started to dawn on us.... No longer, did we have any reason not to at least make an effort to tidy up the ascent and at any rate at least we'd know for 100% whether placing the gear on lead would make any difference. We've just written an article for UKC which covers a lot of the reasons why we went back to Century and also some of thoughts on what the climbing was like. Aside from some of these rants and ravings, we've listed below some of our main thoughts on the whole deal - don't take it all too seriously! 1. 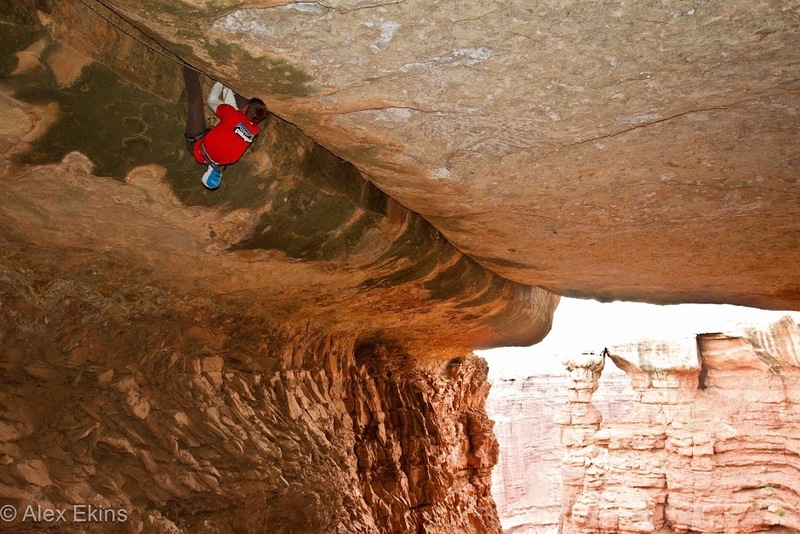 Century Crack is no harder placing gear on lead, than it was having it pre-placed. 2. Eight Friend #5s (collectively weighing around 2kg) felt adequate to complete the route in this style. 3. 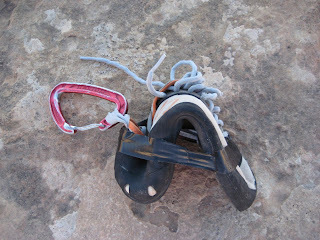 Using the amount of gear that we used certainly made the climbing much bolder but no harder. By carrying more cams the weight of the rack might start to become noticeable and affect the climbing. 4. You can place the gear behind you or in between your legs when putting the gear in on lead, this way you don't have to step both feet round a load of cams, so reducing the amount of mini cruxes on the route. 5. 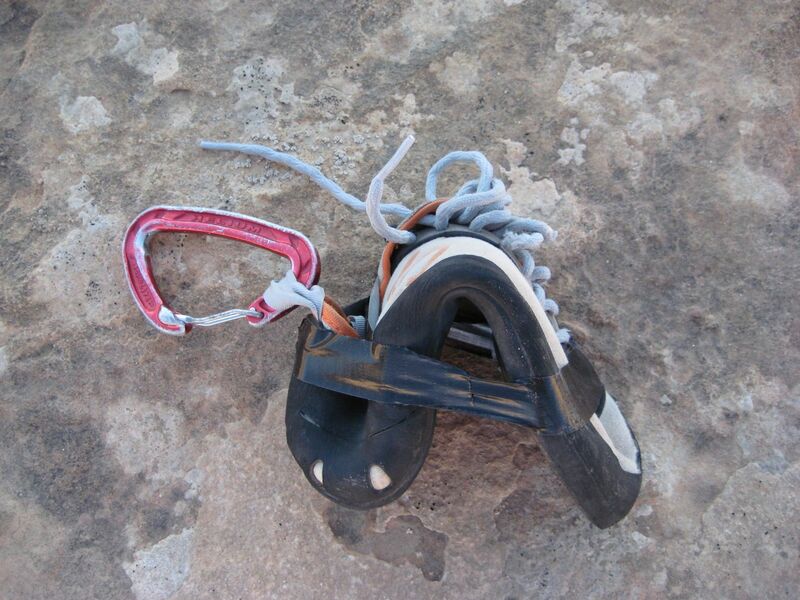 The whole of the crack is the crux and also the whole of the crack is a rest, so you can fall off at any point, but you can also place gear at any point you want. 6. As crack master Peewee (the French Canadian one....) said - horizontal shuffling is all a piece of piss, so don't get hung up on grades, styles or anything. That was us told! GO BOYZ, see you in a week. been great following your exploits and write-ups. You guys are unholy. Mick, start training NOW! Way to mop it up lads. Bravo! Nice job guys. Going back to Century to "clean up" the ascent takes dedication. Good work. well done boys! time to rename the route? 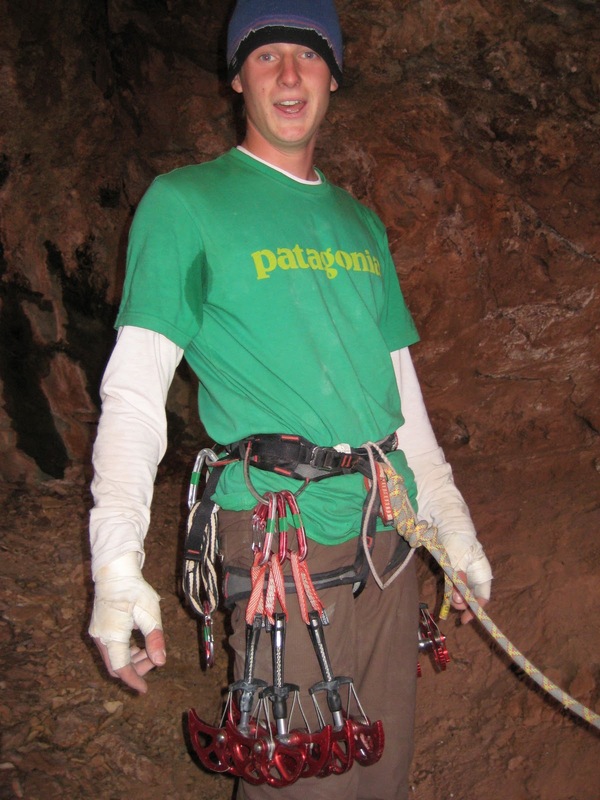 now your boy can quit ranting about the good old days and how to trad climb and go back to doing other things! glad to see you send and remind everyone that its not harder when placing gear. Guys you are truly Great.